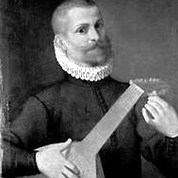 Simone Molinaro was a composer of the late Renaissance in Italy. He was especially renowned for his lute music. In addition to his lute works, Molinaro composed a large amount of sacred choral music, most of which does not survive completely because of missing partbooks. However, some five-voice motets have been preserved in the collections of Hasler and Schadaeus. Arrangement from Lute. Renaissance. 48 Measures. 4 Pages. Time Signature 4/4. key of C.